Have you always secretly known or even just suspected you have power and potential beyond anything you've achieved so far in your life? Do you admire and maybe envy those people whose magnetism and personality announces their presence as soon as they enter a room or begin to speak? Do you yearn to make your mark, to stand out in the crowd as a source of inspiration and leadership, with an aura of calm, assured confidence? Could this really be you? 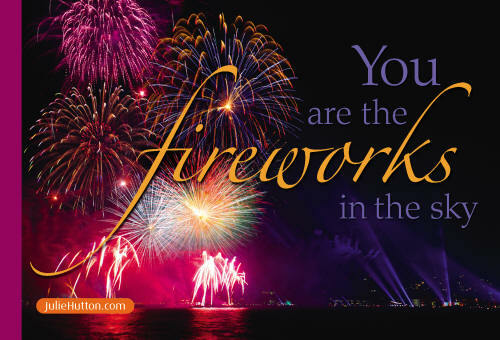 Julie Hutton can show you how to find and release your own magnetic power, so that your vitality and life force reach out to touch others, your confidence and sincerity embrace them, your wisdom engages them, your compelling voice, manner and message create trust and credibility. Charisma 123 is an easy, thoroughly engaging program that will guide you to inner transformation by connecting you with your own, innate personal strengths and show you how to use them positively for influence and success. Informal sessions of exploration and self-revelation use techniques such as instruction, coaching, body movement, vocal exercises, introspection and mental exercise to bring to the surface and strengthen your own, personal charisma. Your inspiration to generate greater good. Charisma 123 is not a class or a course but rather a series of guided, practical and experiential sessions that constantly evolve, taking you ever deeper into connection with your authentic, vibrant and captivating self. Charisma 123 helps you develop a powerfully persuasive personality. It will switch on your ability to influence others in crucial decision-making situations like presentations to win funding or job interviews. It will give you projection and authority in public performance on stage or screen or help you deliver with conviction to audiences in classroom, workshop or sales presentation. It can even bring out the best in you on one-on-one communications, including dating and personal relationships. Let Charisma 123 awaken your personal magnetism. Shine with confidence and composure. Be happier and energized with who you are. Achieve your goals more easily. Reach out with a touch that is unforgettable. For more information on how Charisma 123 can change your life, contact Julie Hutton to discuss your individual coaching needs. Check out Julie's other life foundation teachings – Breathe 123 (book now available), and Super Youthening (with free downloads).